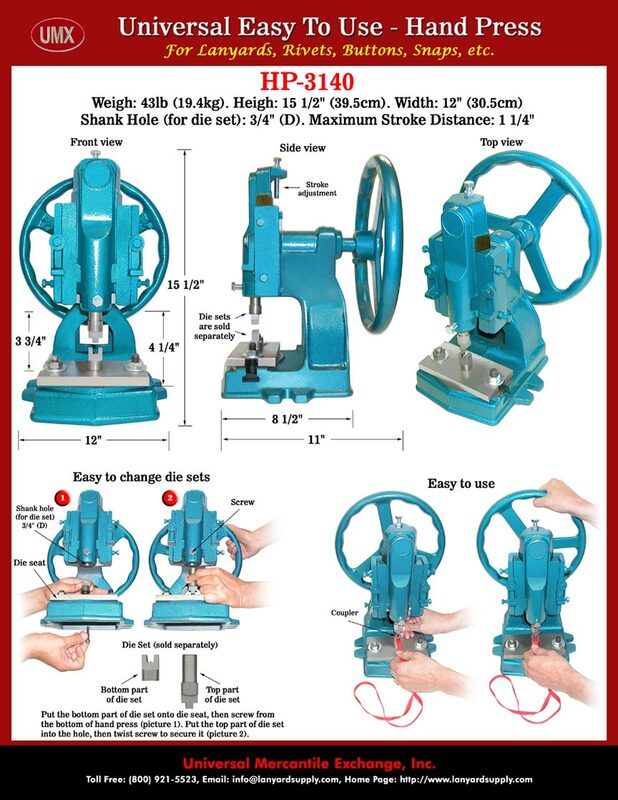 HP-3140 is an universal and easy to use hand press. It can be used to assemble lanyards, jeans buttons, rivets, snap buttons etc. It can be used as a cutting tools to cut your lanyards too. We sell hand press together with lanyard couplers and die sets to make your lanyards making easy. With our online simple and helpful photos of How-To-Make lanyards instructions, you should be able to make your own lanyards easily. Good for lanyard manufacturers.